Novato-based SolarCraft is proud to play a part in helping Sonoma County achieve its goal of energy independence. 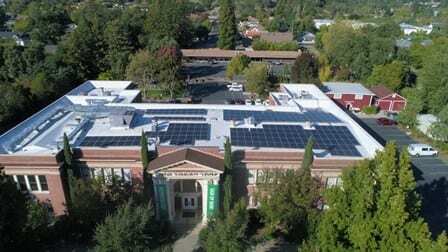 The 2009 passage of the Sonoma County Energy Independence Program (SCEIP) gives Sonoma County residential and commercial property owners the opportunity to easily finance renewable energy projects. The SCEIP program was and continues to be a huge success — SolarCraft completed 49 SCEIP solar financed jobs in 2009, for just over $1.9 million in installations. SolarCraft employee, Craig Carlock, is Chairman of the Board of Solar Sonoma County, which closely advised Sonoma County officials during the development of SCEIP. SolarCraft offers Solar Pool Heating, Solar Electric and Solar Hot Water systems — all of which are eligible for SCEIP solar financing. The future of solar energy is bright, and PACE (Property Assessed Clean Energy Program) property tax assessments may be the most popular funding model in the future. Currently, Napa, Marin, Solano, Mendocino and Lake Counties are looking for ways to form Energy Independence Programs of their own. PACE solar financing is a way to gain energy independence while reducing consumption and stimulating the local green economy. Sonoma County Energy Independence Program is an energy-savings initiative launched by the Sonoma County government that allows property owners to borrow money from the county for energy-efficiency improvements and pay it back on installments on their tax bills.